b)is always worse when flying west to east. Neither has been true for me...or maybe Paris has a special hangover effect. That must be it. 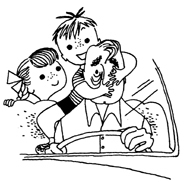 Someone found a copy of a 1954 book on traveling with the family via car. It looks like fun(I love this kind of social anthropology), and has some neat illustrations to boot. Unfortunately the illustrator of this little book isn't credited in the article. 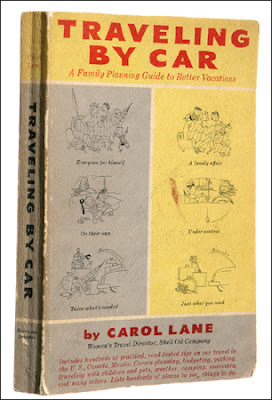 ETA: More Fun: The intrepid Scott Santoro found this fun b/w clip of the author of "Traveling By Car", Carol Lane, demonstrating how to pack. The illos look similar to Janet La Salle (I have a set of some of her work HERE), but I don't think that they are done by her. She had a special style that these illos don't possess. 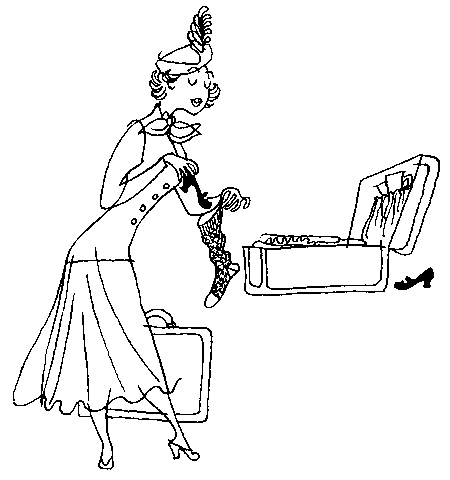 I am entranced by the ankles of the immaculately-dressed mother packing the trunk.